When the weekend rolls around in autumn it's time to enjoy the downtime with easy wild game recipes for your family and friends. Crack open a cold one, stoke the fire if it's cool enough, whip up some tasty meals and relax. It's the weekend and time to chill out for a while. 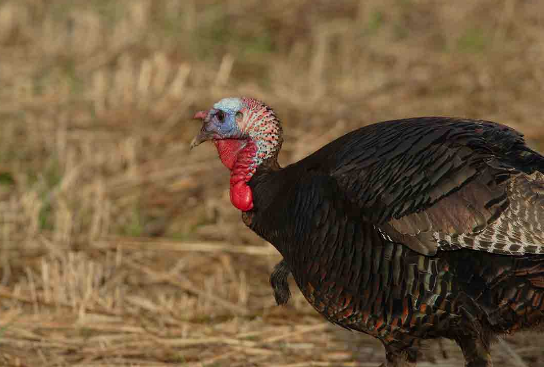 Waterfowl seasons and autumn turkey seasons provide great variety to go along with big game glory species. It's a great time of the year. Veteran outdoor writer Jim Casada and his wife, Ann, tested these recipes and others they published in Field to Feast, the Remington Cookbook in 2006. The 185-page book is packed with recipes for everything from venison, turkey, waterfowl, upland game and other tasty items such as elderberry jelly and black walnut cake. It also is illustrated with the incredibly wonderful artwork from the private collection of the Remington Arms Company. Enjoy these recipes, and others to come this season, and find out below how to order your own Field to Feast cookbook. Pound venison lightly, sprinkle with flour and pound again. Cut venison into 1-inch cubes. Melt butter in a Dutch ocen and saute the onion about 10 minutes. Add garlic and saute briefly. Add the veison and brown on all sides. Mix in the salt, paprika, wine, tomato sauce and broth. Cover and cook over low heat for 2 to 2 1/2 hours or until venison is tender. Stir in sour cream just before serving. Serve over egg noodles, dumplings or spaetzle. Pound breast fillets with a meat mallet to tenderize. Place flour, seasoned salt, garlic powder, pepper and paprika in a bag. Shake breasts in bag to coat with flour mixture. Brown goose slowly in oil in a heavy skillet. Pour wine and broth over goose. Cover and simmer until tender. Beat egg with water. Dredge turkey strips in flour, dip in egg, then again in flour. Fry in oil in a cast iron skillet until brown and tender. Season with salt and black pepper. Do not overook. Serve immediately. Field to Feast: the Remington Cookbook by Jim Casada is out of print but copies are available for purchase for $25 (plus $5 shipping and handling) at www.jimcasadaoutdoors.com or by sending $30 to Jim Casada, 1250 Yorkdale Drive, Rock Hill, SC 29730.